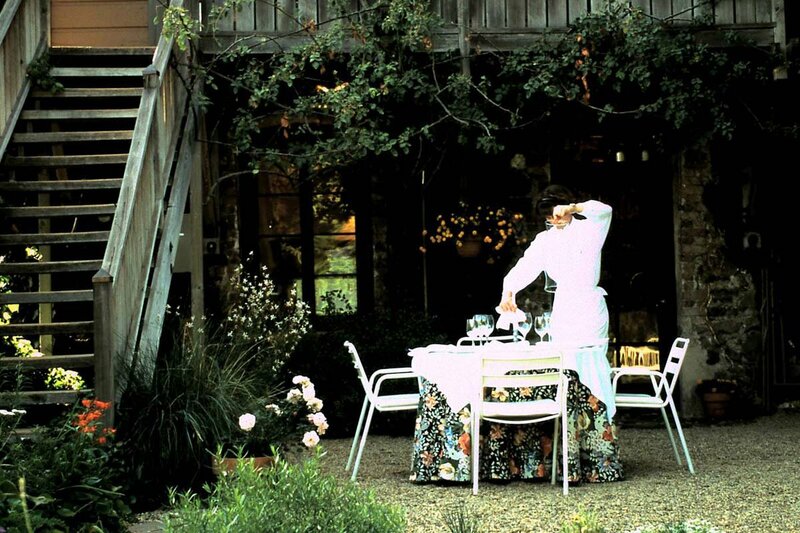 A meal in the courtyard at The French Laundry in 1994, from their charming Facebook album of their 20-year history. 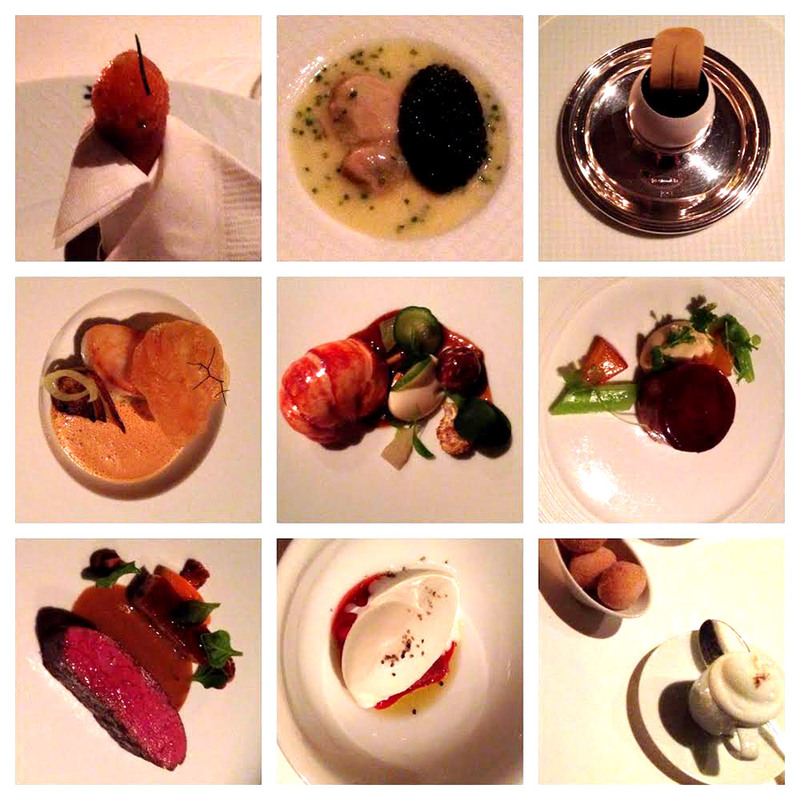 Photo courtesy of The French Laundry. Then I watched the lovely tribute video for the 20th anniversary of The French Laundry (TFL), and that changed everything. 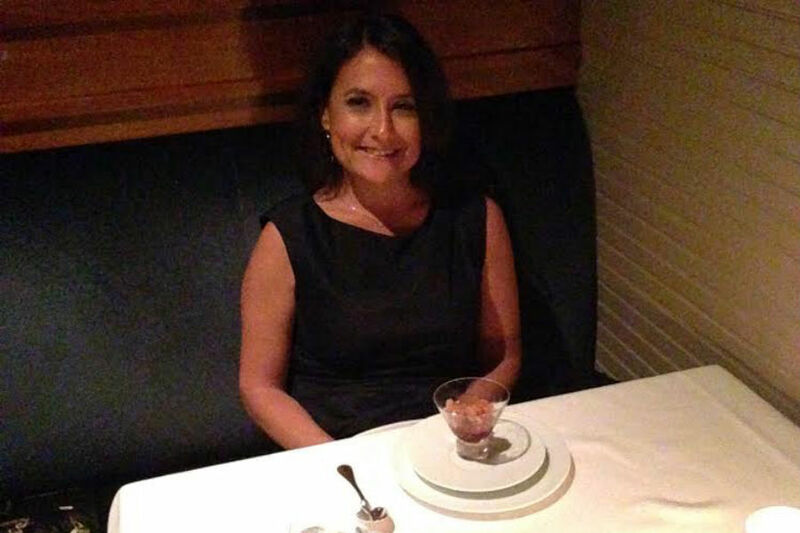 I live in New York, and soon found myself on OpenTable searching for a reservation to the north Cali restaurant. I'm a fearless solo traveler and diner (as I've proved in my Fathom story about my solo food tour of Spain), so I knew it was my calling. I changed my reservation to one. I booked my flight, hotel, and car. 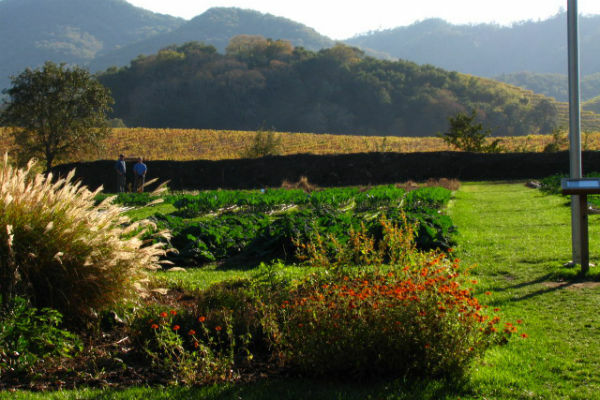 I reserved a Napa Valley Balloons ride, mud bath/massage at Indian Springs Resort & Spa, and dinner at Meadowood — another three-Michelin-star restaurant — to make the most of the trip. I was ready to go. 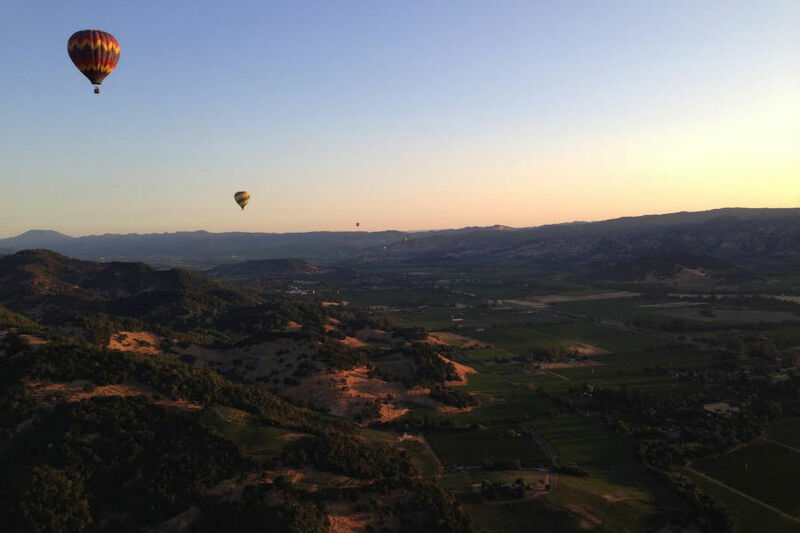 I flew the Wednesday before my reservation to Oakland, drove north, and arrived in Napa/Yountville in the late evening. 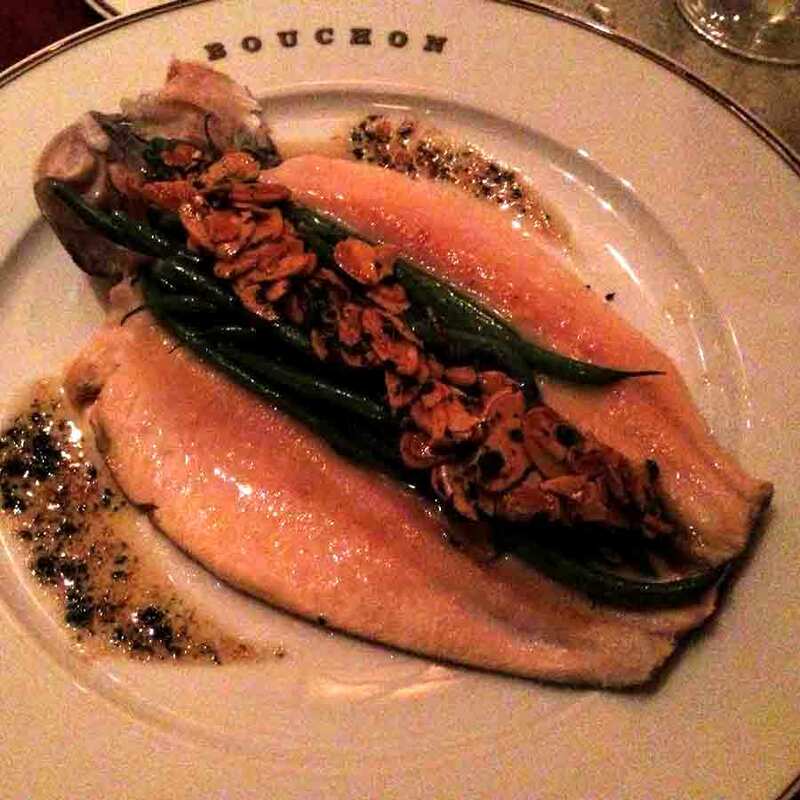 After I checked into my hotel, I sped over to chef Keller's more casual restaurant, Bouchon, which happened to be the only place in town open late. I loved the energy at Bouchon. My midnight snack — a divine piece of Idaho rainbow trout served with haricot verts, toasted almonds, and beurre noisette — was delicious. I was off to a very good start. Views of the valley from the garden. Photo by Flippinyank / Flickr. Service was top-notch. As the meal progressed, the waitstaff warmed up to me, especially after I mentioned I was in the industry. Mid meal, one of my servers brought me reading material — a copy of chef Keller's fine Finesse magazine. It was a nice gesture.